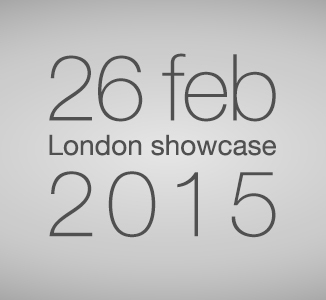 It may seem a long way off, but please make a note in your diaries for 26 February 2015 when we will once again be hosting a massive one-day Central London showcase of all our products and services, including those of our WorkRite and Office Environments divisions. Our first big showcase event, held earlier this year at the Charing Cross Hotel, was a rip-roaring success with hundreds of people turning up to see for themselves why it is that Posturite holds such a dominant position in the UK ergonomics market. This year’s event, which will also mark the official launch of our 2015 catalogue, promises to be even bigger and better. As well as being able to see and try virtually our entire range of market-leading ergonomic furniture, computer peripherals and desktop accessories, visitors will also have the opportunity to meet our various in-house experts to discuss not just their furniture and equipment requirements but also their assessment and training needs. And our Office Environments team will also be there to talk about some of the exciting new developments in contract seating and desking. Our CEO, Ian Fletcher-Price, said: “The feedback we received from our initial showcase event back in February was fantastic. It was obvious that people really appreciated the opportunity to physically try so many items. This is rarely available to them because even at the biggest exhibitions, such as the Safety & Health Expo, we’re only ever able to show a fraction of what we have available to support a healthy working environment.